What could have been just another white soul retro album is lifted by Newman’s big voice and some heartfelt songs. But can he do more than just re-interpret? 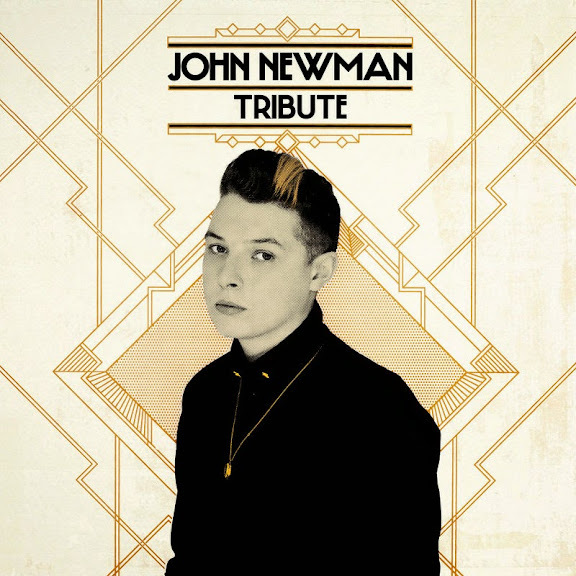 Tribute, the début album from Northern Soul boy John Newman, wears its heart very prominently on its sleeve. Beginning with a roll call in Newman’s Yorkshire accent of all his musical heroes, title track Tribute is an autobiographical thank you to all those music legends. Competing with James Arthur and any number of X-Factor me-too voices, Newman’s curious diction keeps you listening. Then his anthemic hit Love Me Again hits you between the ears and you’re sold. The question is can the album keep you hooked all the way through? Newman’s big white soul voice powered Rudamental’s Feel the Love last year, but it took me a while finally to write something on his album, released late 2013. Tribute immediately rockets into the smouldering anguish of Losing Sleep, then slows down for what may be a trademark Newman power-ballad Easy. Try returns to the fast paced club sound, then into Cheating, the second big single after Love Me Again. Running is a rattling Four Tops tribute song; the pattern of melancholy strings and minor chords is well established in Newman’s sound by now. “Keep running” is the refrain, so it does. Next it’s Gold Dust. An exemplar for such an album out of its time; clean production aside, it could have come from the 60’s or 70’s. Just the piano and echoey backing vocals, sounding like something Moby would sample, brings it knowingly into 2013. From whose piano Goodnight Goodbye might have sprung, a pounding lament that puts us back in moody, Moby, mid-tempo power-ballad territory, full of loss and regret and big notes. Expect this to be the last single from the album. All I need is you is that rare thing with Newman, an optimistic love song, although on this one, the vocal grates more than a little, the mid-Atlantic Yorkshire twang not really working amid a rousing Righteous Brothers production take-off . Down the Line shows off Newman’s soul credentials and puts us right back on Skid Row, however, as Newman does that James Arthur/X-Factor thing for the longest four minutes of the album. Nothing picks us up off the floor with a bright and breezy ‘moving on’ song and you think, yes, this will sound good in the live set. Finale Day One features that House of the Rising Sun organ; Newman aggressively berating another unworthy lover and himself for his own weakness. Now we’re on Ben ‘Plan B’ Drew turf, a bit rough, a bit sweary; try to sleep through this one.